Our Christian Education represents the primary and most diverse arm of our church. Because of its uniqueness in attracting people of all ages, we do not underestimate its potential impact in our church. Staffed by dedicated members of our church, our Sunday School classes convene at 9:45am. The classes are age appropriate, interactive with the Word of God and ultimately seek to make true disciples of each member. It is not baby sitting or child care, but a place of true worship and Christian service for all who are involved. The Sunday School seeks to help the church carry out its ultimate goal of advancing the Kingdom of God in righteousness.In 1996, God gave us special favor by allowing us to legally operate the City of Faith Christian Academy as a preschool. To date, we now operate an Elementary School licensed by the State of New York. 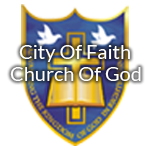 Visit us at www.CityofFaithChristianSchool.org.In an effort to help equip those who are interested in furthering their study in the Word of God, we operate the City of Faith Bible School. This is under the auspices of ETTA. Courses are offered on a correspondence basis, independent study and mentoring depending on need. We have a very flexible study plan. We recognize the present youth culture and the impact that it is having on today’s youths. Thus, our youth ministry is geared towards helping our young people be distinctive and purpose driven in their pursuit of life. This aspect of our ministry helps them transition through life’s many challenges. It helps them to make pure moral decisions, think critically and use the Bible as their road maps. We often refer to our youth as the true neighborhood preservers. Our youth fellowship activities seek to meet their needs in all areas: social, emotional, intellectual and spiritual. Our Youth Ministry meets every Friday at 7:30pm for a dynamic evening.The City of Faith Christian Cadet Group is an aspect of our youth ministry that helps our boys and girls between 8 and 19 years old, to develop leadership skills and function as a member of a disciplined, uniformed Christian group. It helps our youth to develop good work ethics to embrace more social, religious and civic values via participation in Christian activities. From this group we are able to identify early leaders and those who have an eye for a role in civic and military service. We are taught by our Lord that worship begins in the heart of the worshipper, not in the place or form of worship. Through a rich blend of traditional and contemporary gospel music and songs, our melodious choirs backed by a team of committed musicians, help us send up the praises to God. We believe that the choir and musicians are worshiping through their various presentations. It is not for show or self aggrandization, but that God may be glorified when these Levites and musicians minister. Our senior musicians intentionally train the junior musicians to minister at our youth services. The work of mission is carried out by the entire church. We are constantly involved in projects aimed at saving lost souls and relieving the suffering in our world. We are part of the solution. There are members of our church who have distinguished themselves in the ministry of making visitations to the shut-ins, monthly tracting on the streets, packing and distribution of pantry bags on a weekly basis, and shipment of clothes and food to other countries. Our mission board seeks to raise funds to undertake missionary activities within and without the church. Pray, give and go is part of our mission motto. Consecrated covenant members of the church, who possess the skills, willingness, interest and ability, form part of our multi-media ministry. Here “we give the wind a mighty voice”. Services are streamed live via the internet; recorded for delayed broadcast via television, internet archives or personal use via CDs and DVDs. Technology has helped to enrich our services through screen projections and sound quality adjustments. This ministry helps us to provide a centralized and more convenient way for our members to reach the House of God for service. Congregants can feel comfortable knowing that they will be transported safely to and from church. Our mobilization ministry assists us greatly with our networking. On given occasions, our vans can be seen filled with cheerful Christians going to fellowship with other saints. The dynamic women in our church intentionally challenge themselves to be organized in various groups aimed at helping the church to fulfill her goal of discipleship and training. Through prayerful planning and strategic times of meeting, City of Faith ladies provide discipleship training, Christian growth opportunities, workshops, seminars and mentoring to the young ladies of our church. The ladies meet every second Saturday at 6:00pm. Most of our second Sunday Fellowship Meals are planned and carried out by our ladies’ ministry. Our Sisters also take the lead in sanctuary readiness. It is a blessing to have vibrant ladies serving and leading in this church. This auxiliary seeks to embrace and encourage all the male members of our congregation while helping the church to fulfill her overall mission. As Kingdom men the members try to act as mentors to other young men especially those from homes where the father is missing. Men’s meetings are held on Thursdays at 7:30pm and are rich with ideas and activities that keep all men engaged. The men’s ministry is an excellent training ground for men who desire to be involved in the ministry. Many projects especially in the area of building maintenance are undertaken by our men’s ministry. City of Faith Food Pantry which operates out of our adjacent building at 3445 White Plains Road is opened to the public on Tuesdays at approximately 1:00pm. The food pantry is a community outreach program designed to provide food for those in need in an attempt to alleviate hunger in this community and other adjacent communities. We endeavor to be a part of the solution and not a part of the problem. As a ministerial effort, volunteers willingly and generously give of their time to prepare the packages for distribution. We serve between 85 to 120 families weekly and about 1,209 families monthly. Recipients are from within the community and the surrounding areas such as Yonkers, Mount Vernon, New Rochelle and White Plains. The elderly, new immigrants, middle aged and young adults who are unemployed, are among the recipients. The Food Pantry program is advertised by word of mouth, Bronx Cable Network, the internet, our weekly church bulletin and a sign which is posted outside the building. This fits well with the vision of the City of Faith Church of God to minister to the total man and this is one of the ways in which we endeavor to combat some of the ills in our society. You can be a part of this vivacious arm by referring someone to our services.